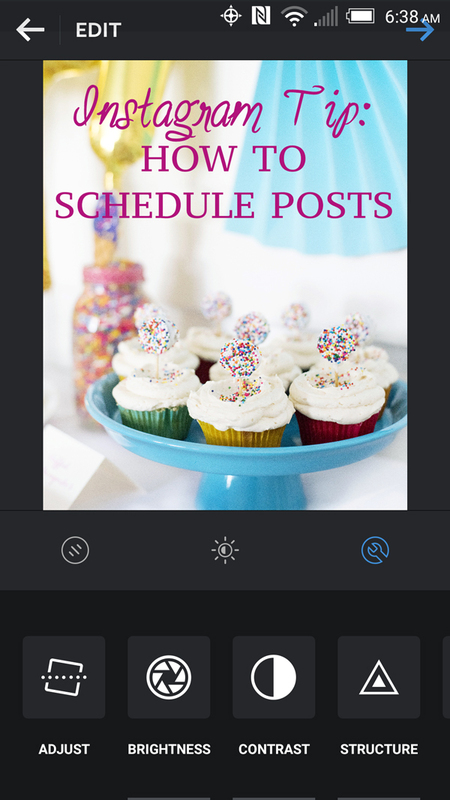 A so-easy-it’s-crazy way to schedule Instagram posts right in the Instagram app! Works for iPhone and Android. Photo tutorial included. Confession alert – Instagram is one of my favorite hobbies. Yes, you read that correctly. I love taking photos to share, editing them and looking at my grid obsessively to make sure everything fits together just so. It takes more time than I care to admit. It’s also hard to make sure I post at the best times for follower engagement if I’m busy doing something else. To avoid this, I pre-schedule my Instagram photos. I like to prep all of my photos and captions ahead of time so that when I’m ready, my posts are also ready to go. That makes it easier to post at the best times, even if I am busy doing something else. All you need to know is summed up in two words – airplane mode. This tip works for both iPhone and Android phones. 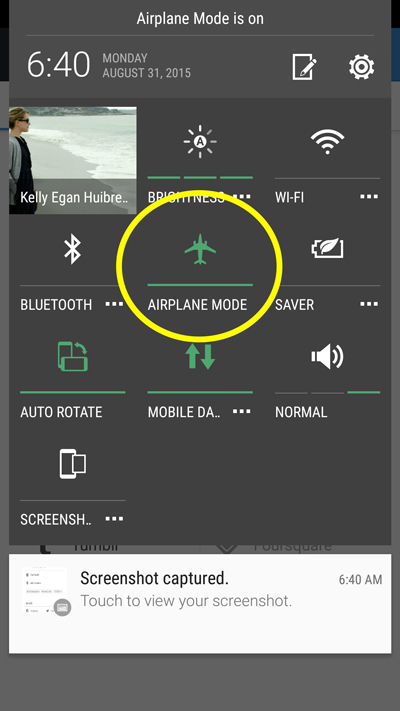 The secret to Instagram scheduling is as simple as using airplane mode! Right before posting, turn your phone to airplane mode and you’ll get an “upload failed” message when you hit the check button to post your photo. Don’t be fooled though – your photo is still there! Instagram will save your edited photo with caption and location info. Then, when you are ready to post, just hit the refresh button and your post will magically appear! That’s it! Instagram scheduling made easy. The photos should still be there even if you restart your phone or download an app update. If you logout of the app though, they will probably disappear. Edit your photo as you normally would. 2. 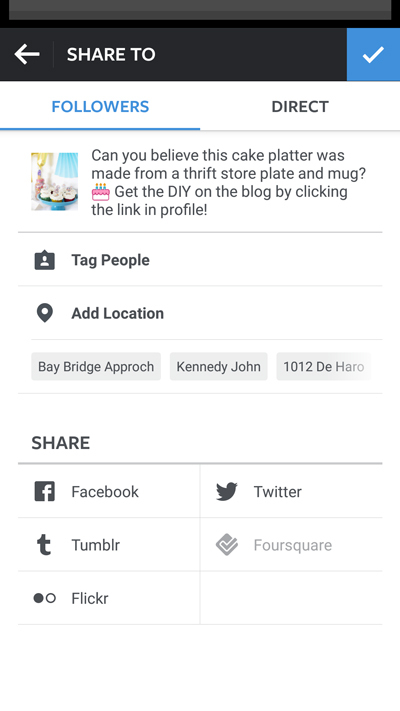 Type in your caption, tag people and add location information as your normally would. 3. Before you hit the checkbox to submit your post, turn your phone on airplane mode. Below is how I do this on my Android phone. Here’s a tutorial on how to do this on an iPhone. 4. Now hit the checkmark to post your photo. 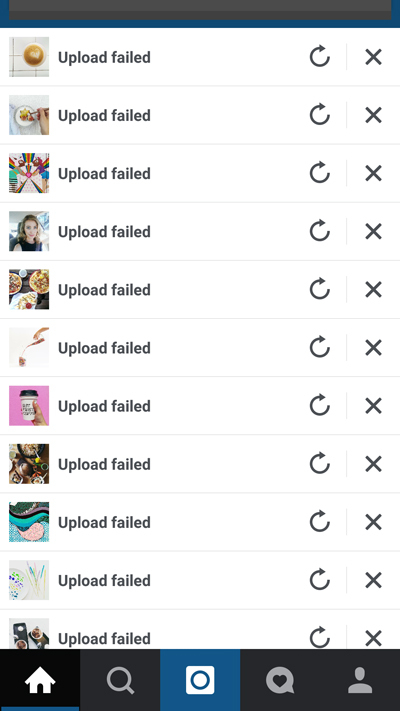 You will get an ‘upload failed’ error. But fear not, your photo will now show at the top of your homepage feed with both a refresh and a delete option next to it. 5. When you are ready to actually post your Instagram, just hit the ‘refresh’ button and your post will instantly load, with your edits, caption, tags and location information. That’s it! Can you believe how many posts I have edited and ready to go? Perfect for those days that I don’t have any new content to share! Thanks so much for reading A Side of Sweet! 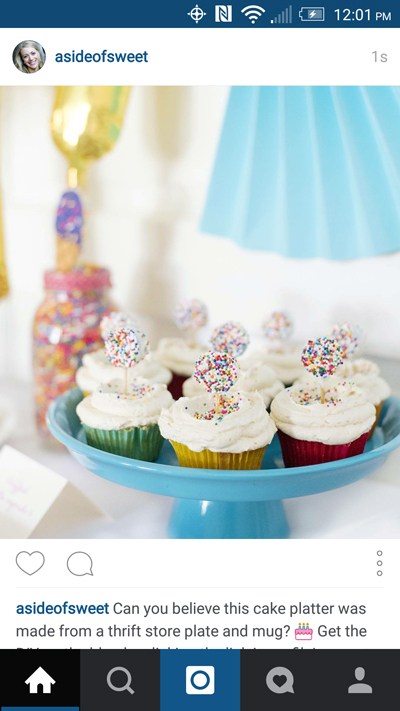 For more Sweet in your life, you can find me on Instagram (obviously! ), Snapchat (@asideofsweet), Pinterest, Facebook, Bloglovin’, or Twitter, or subscribe to receive a weekly email with new posts (see sidebar). Tell me, do you have any tips for managing Instagram? This is an excellent tip, thanks so much for sharing it! I found you via today’s Useletter from Amy Lynn Andrews. Yay! Glad you found it helpful Nan. Thanks so much for stopping by! This is beyond helpful. I had wondered how people were “scheduling” instagram posts regularly. Great! Happy it was useful for you. Thanks Liz! This definitely makes it easier to have regular content, but not forget about all of those photos that you didn’t post right away! OMG SO CLEVER! I always have the same struggle. I’ve used Hootsuite to schedule my posts but it’s not that friendly. This seems easy and awesome 😛 Thanks for sharing! Hooray! So happy this is helpful for you. Great tip, thank you for sharing! I was worried the “drafts” would be lost when the app was shut down and restarted, but it looks like it’s all there. Super! Hi Clotilde – Thank you so much for stopping by! For me, the photos have lasted through app updates and phone restarts, which is so amazing! The only thing that will get you into trouble is logging off of Instagram and switching to another user, or switching phones. That’s really good to know, Kelly, thanks. I’m doing an Instagram takeover on Friday — that’s why I’m looking into scheduling! — so I’ll need to use that trick only once I’m logged into that particular account. Haha, I’d never heard of it before I randomly figured it out! Seriously….BRILLIANT!!! Thanks so much for the tips! wow thank you….now this is the second trick I have learned about IG!!! So let Mee see if I get this right. Your photo won’t post to Instagram when you turn your airplane mode off. You manually hit the refresh little half circle arrow to do it? I was thinking when I read the top half of this blog post, “yeah but what if I still want to do stuff on Mee phone, then I have to stay offline until I’m ready.” But in reading lower in the post, no that’s not the case, you just need to be in airplane mode for the second you initially post that photo. Correct? Such a cool tip! Thanks for sharing!! Hi Mee – You just need to be in airplane mode for a few seconds! 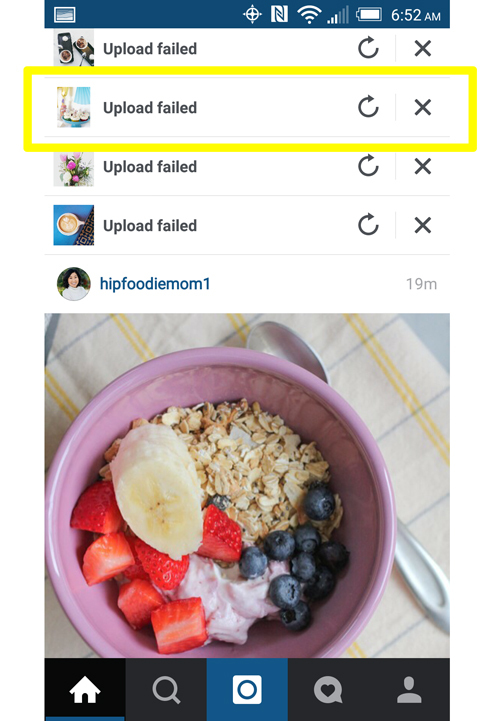 It will stay on the top of your Instagram feed until you are ready to share it unless you log out of the app. You can even restart your phone or update the app and it should still be there. Found you through “Ask Amy” newsletter – and YOU, my dear, are a GENIUS!!!!! I have been studying up on which separate app I would need to do this, if… NO, WHEN I finally get my blog up LIVE!!!! and now I don’t need one… therefore I LOVE you! Thank you so much for sharing!!! 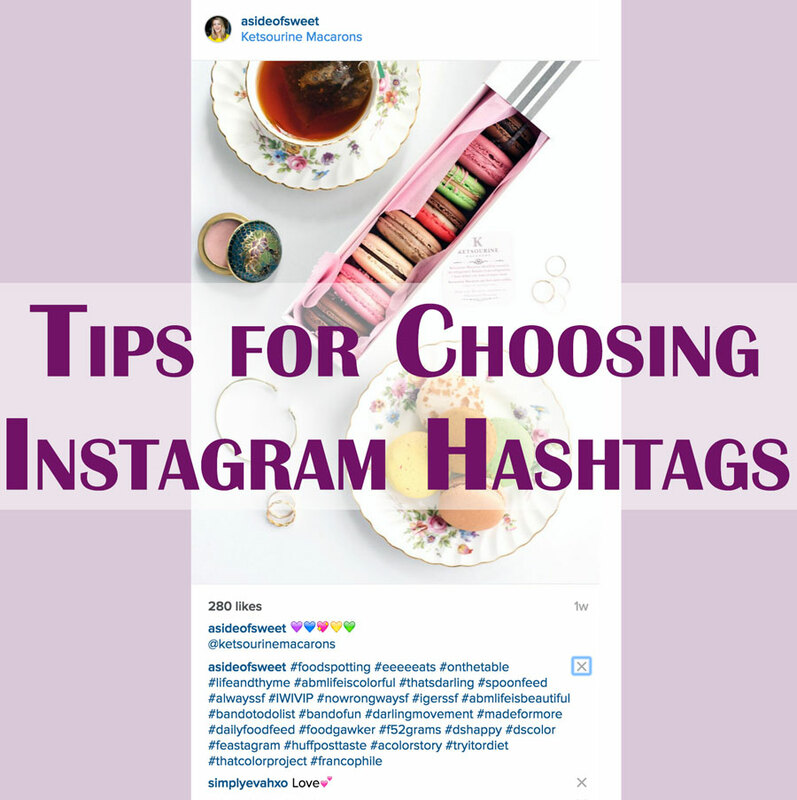 now I am off to read “How to share Instagram hashtags” because I don’t know how to do that either!!! and I TOO, freakin LOVE Instagram!!! and I won’t tell how many hours I spend looking at all the pretty pictures either, LOL!!! Awesome! So glad that this helped your workflow. Thanks for stopping by Julie! Oh yay! So glad this was helpful and thanks for your kind words!